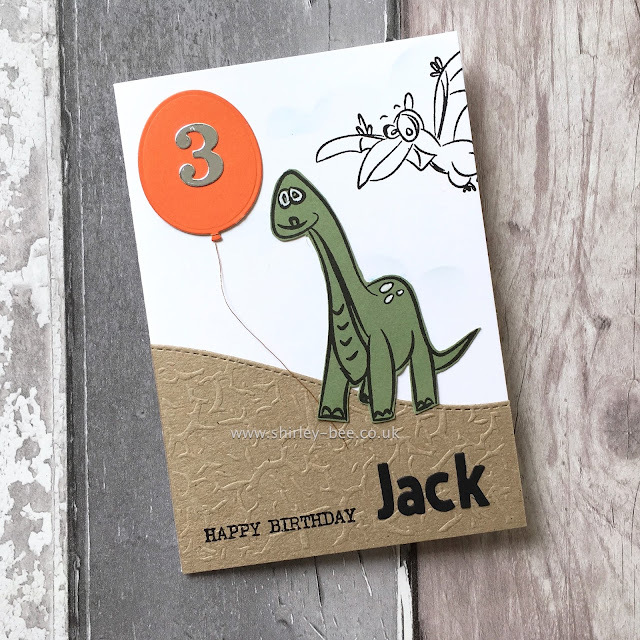 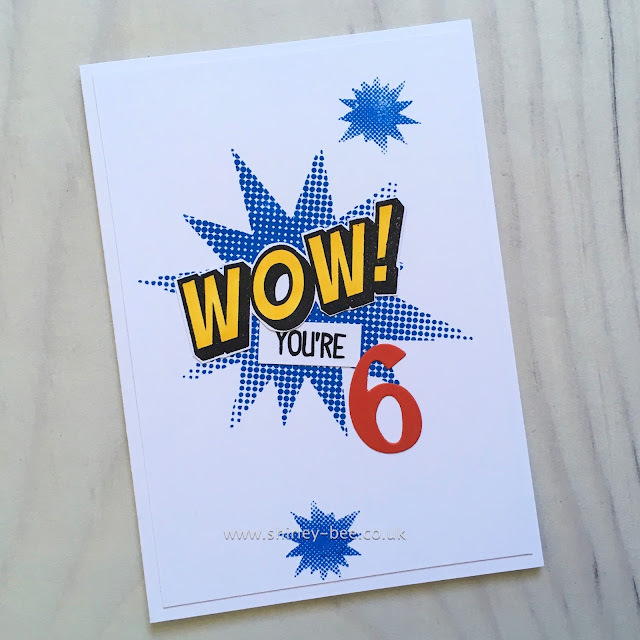 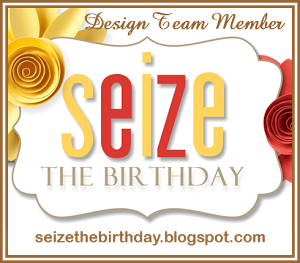 Pop on over to the Seize The Birthday blog for some more fabulous inspiration from the design team and our surprise birthday guest, Lindsey from Bashful Blogging, and play along with us. 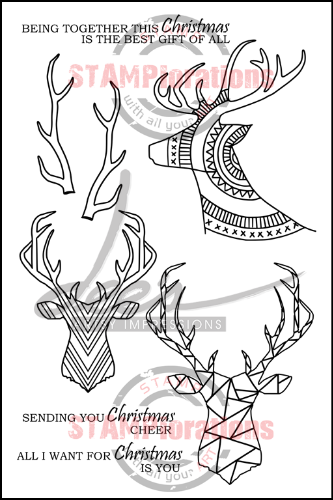 It's the final day of the STAMPlorations Christmas release, and today we're showcasing the new dies. There are too many to show here, but you can see them all in the New Release section. For my first card, I've used the Christmas Baubles #1 Layering Dies set. 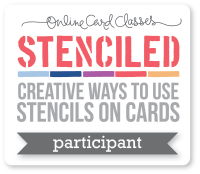 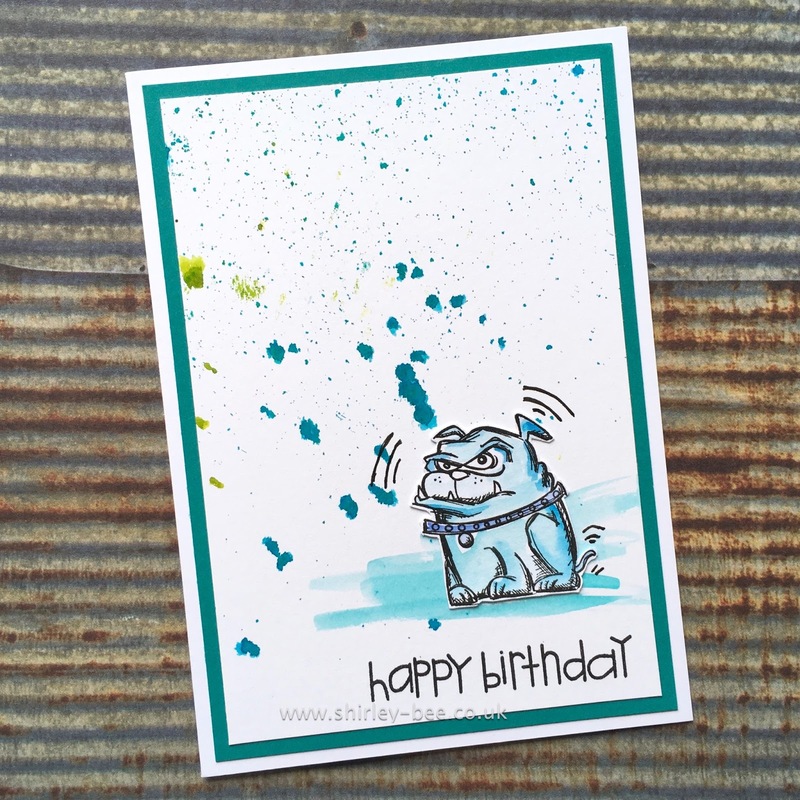 I cut the base from a smooshy drippy Distress Ink background, and the detail from silver card. 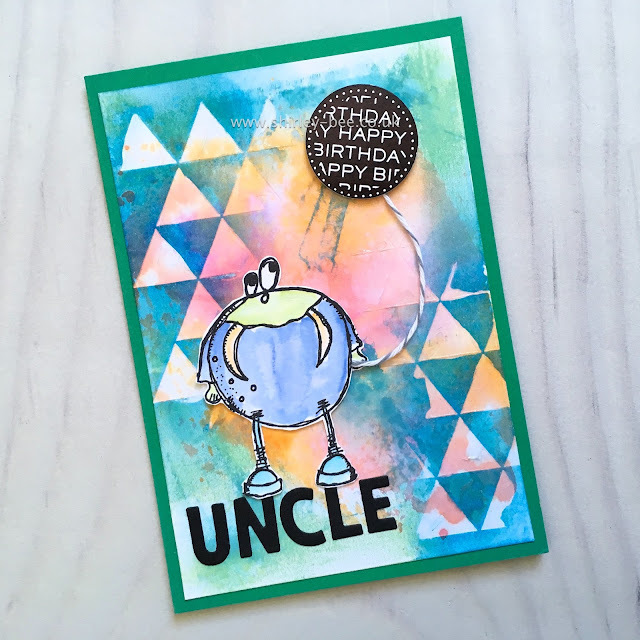 I tied some yellow and blue cord together, then had to work out how to attach it to the top fold of my card. 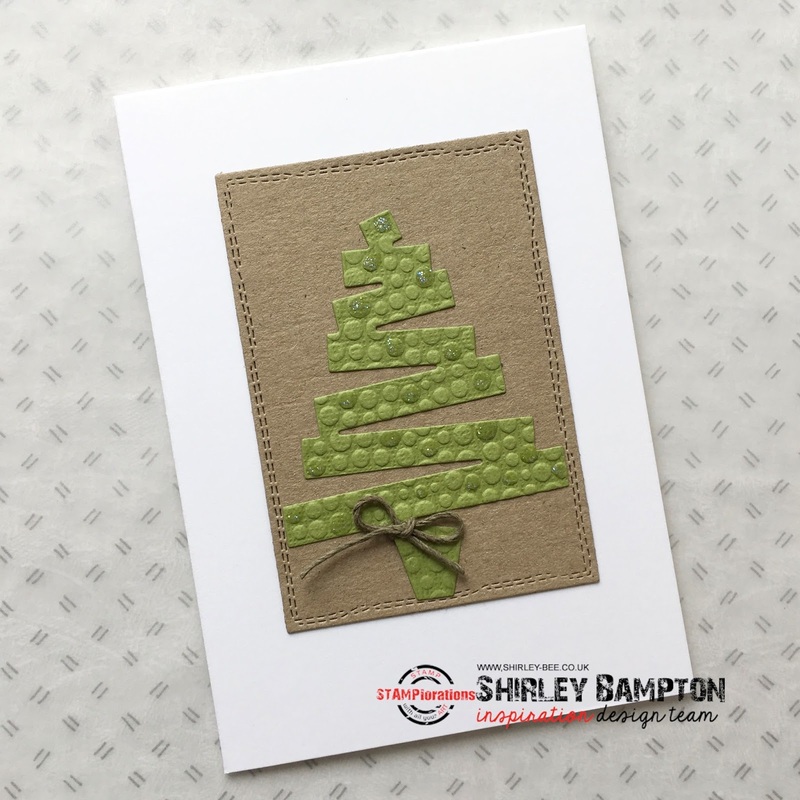 Solution: threaded some fine thread through the knots and tied it inside the fold. 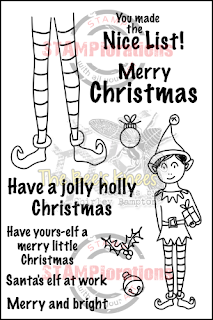 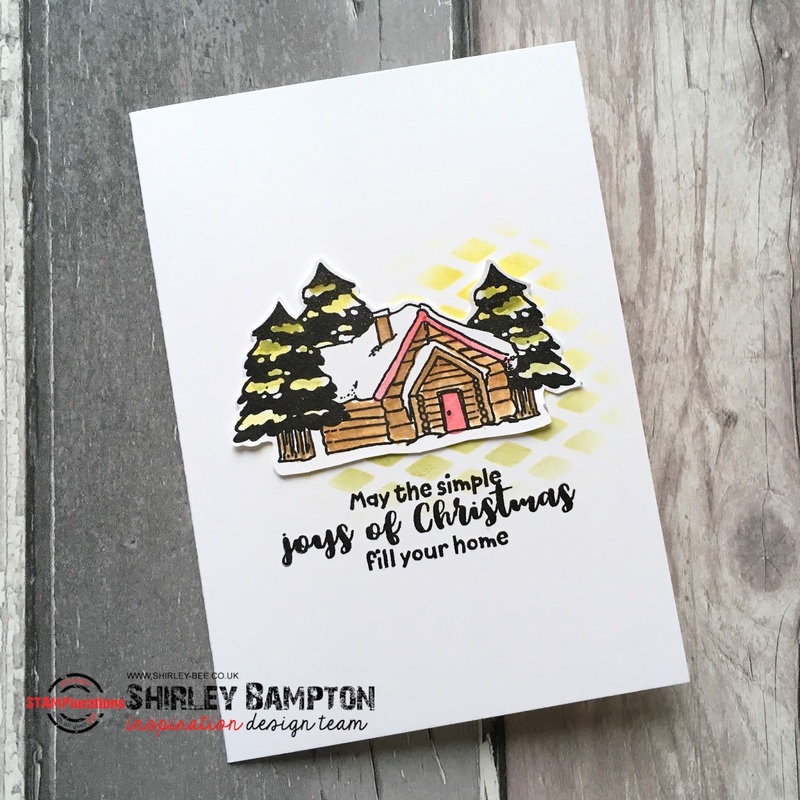 The sentiment is from Shery's Homespun Christmas set. 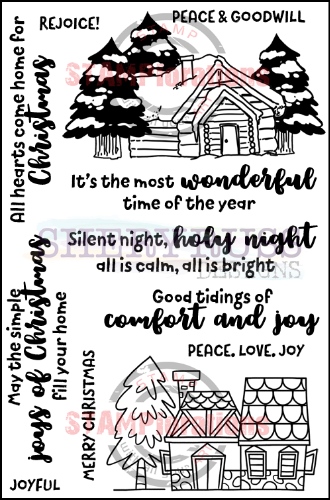 Another smooshy drippy Distress panel, this time using the Holiday Words Plate Die. 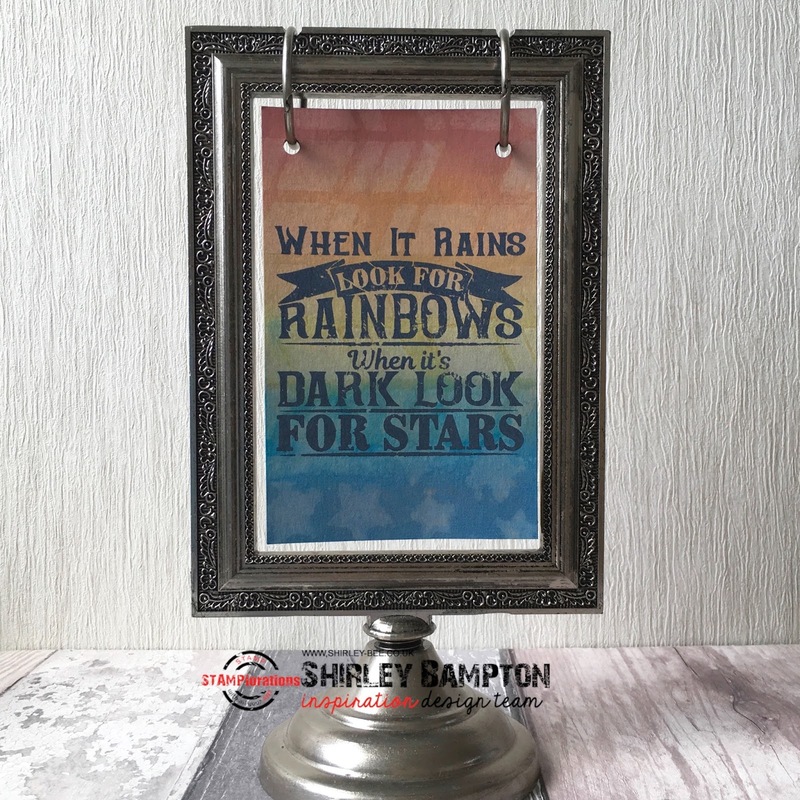 The black panel helps to accentuate the bright colours. A more rustic one, using the Christmas Icons - Christmas Tree #1 die and some textured card, matted onto a kraft panel cut from the Crazy Double Running Stitch nesting die set. 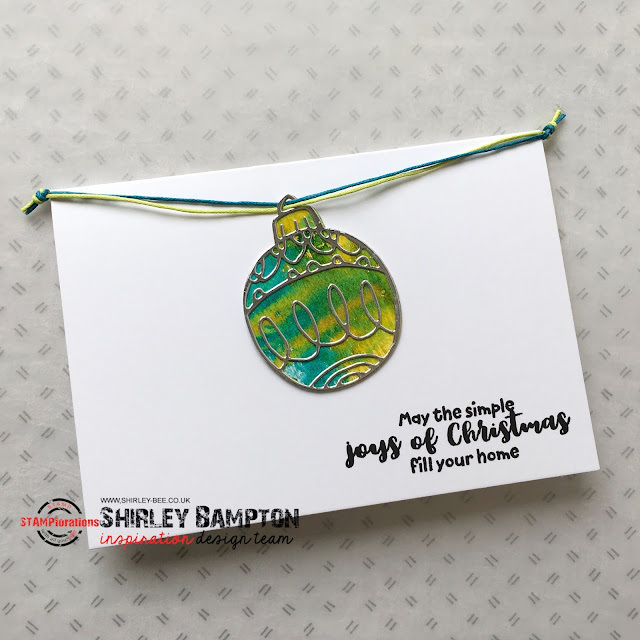 A green twine bow and some Stickles on some of the bauble bumps, and it's done. 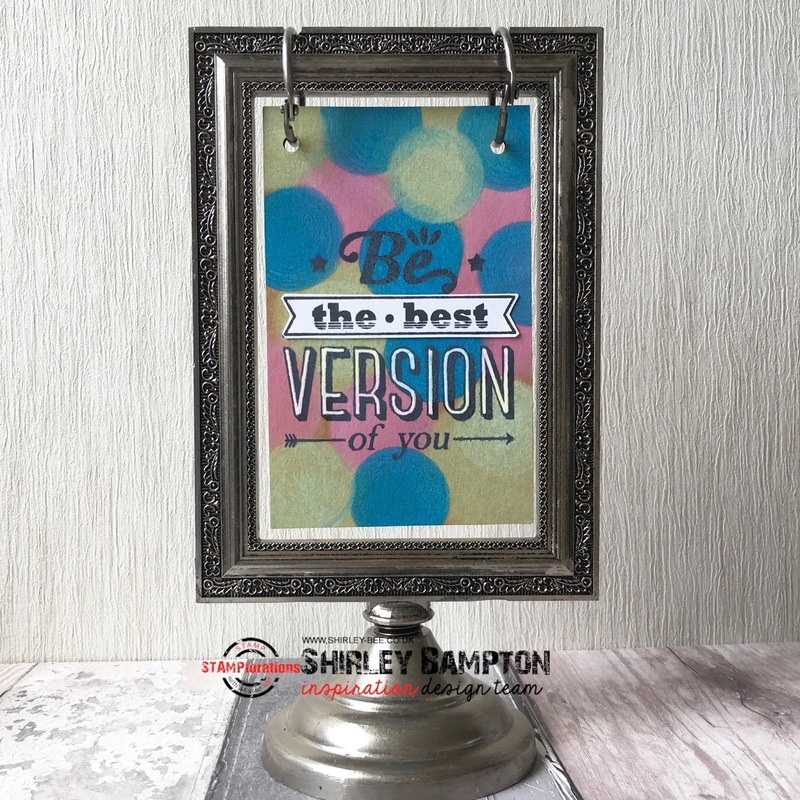 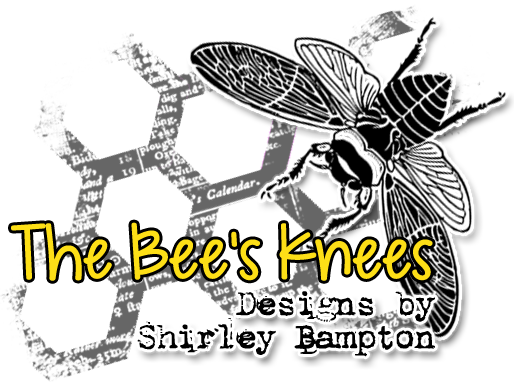 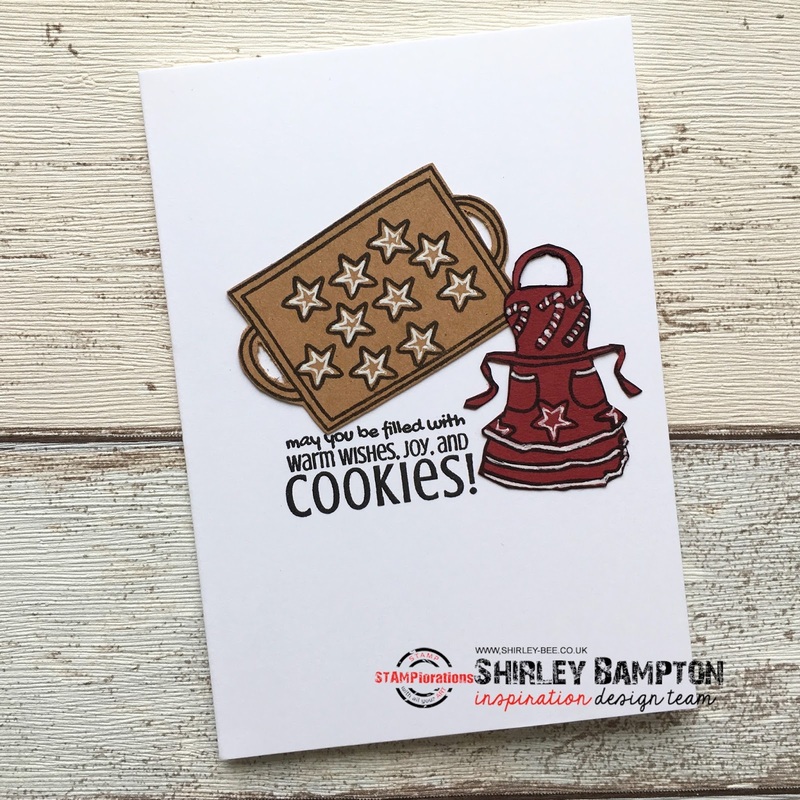 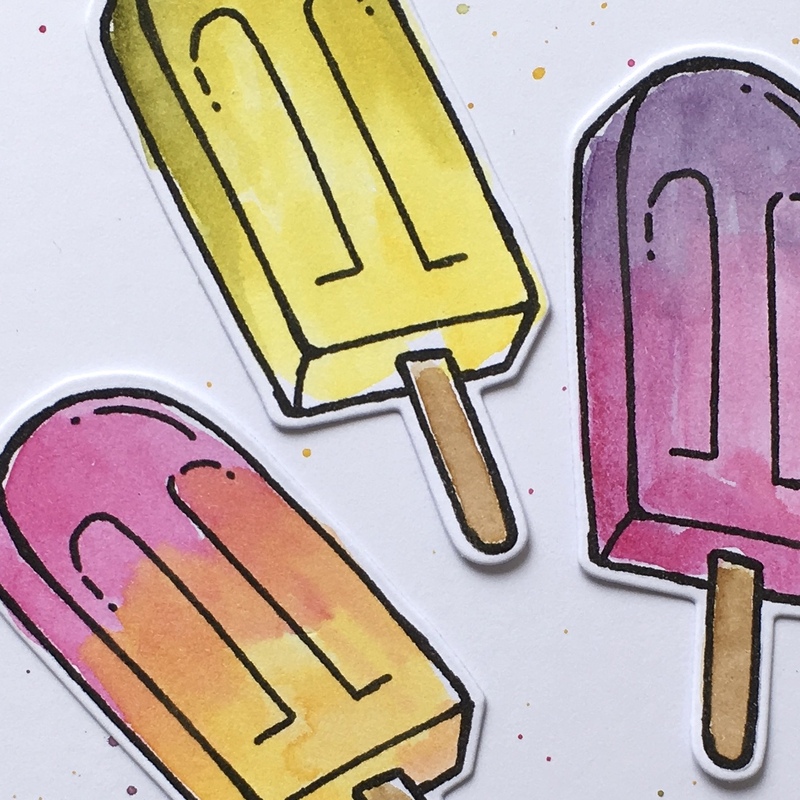 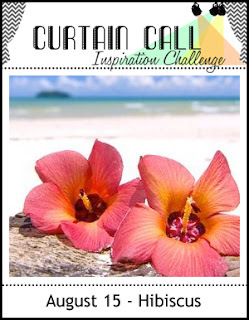 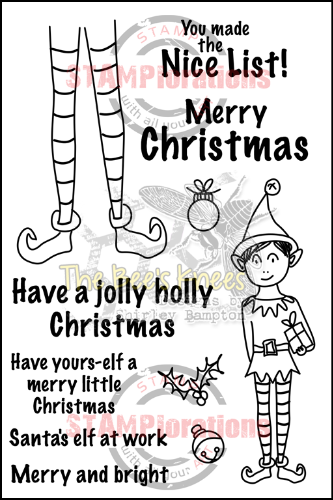 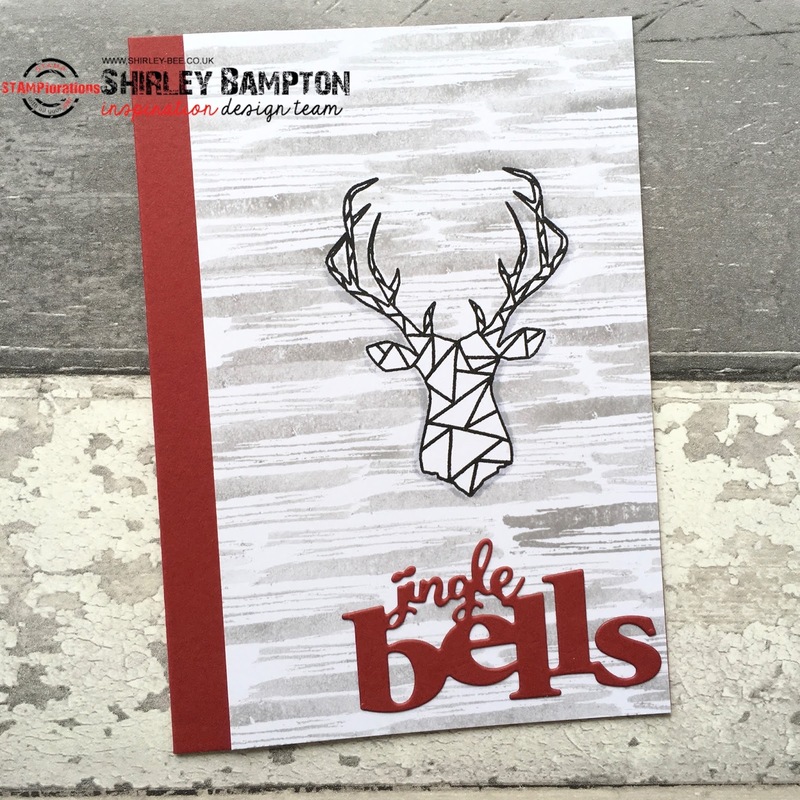 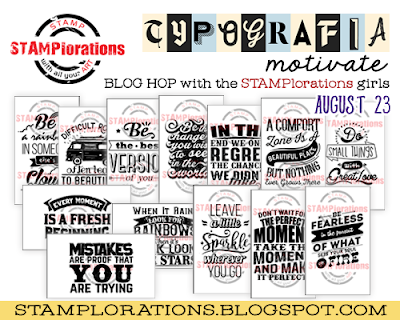 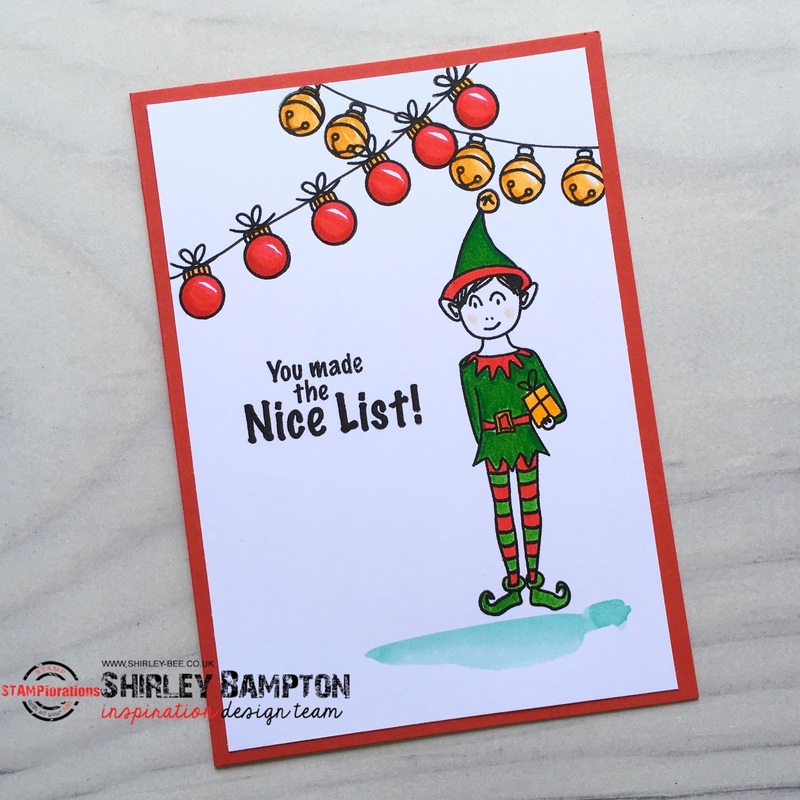 Pop on over to the STAMPlorations blog for more fabulous inspiration from the rest of the team and don't forget to comment for your chance to win. 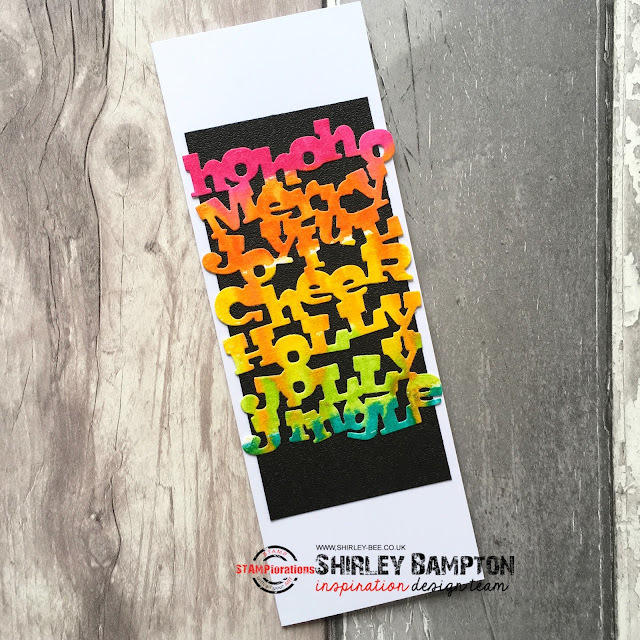 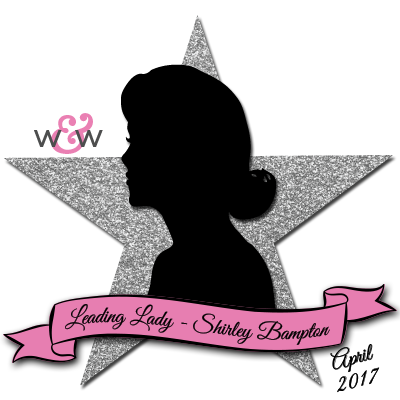 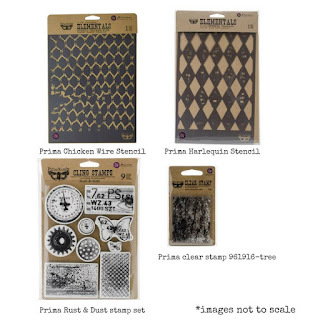 And if you feel like a spending spree, use my code STAMPGIRLSHIRLEY for an extra 20% off all stamps, dies and stencils in the store. 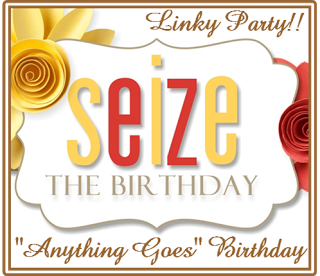 Time for a new challenge at Seize The Birthday, and it's Anything Goes as long as it's birthday-themed. 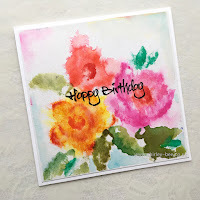 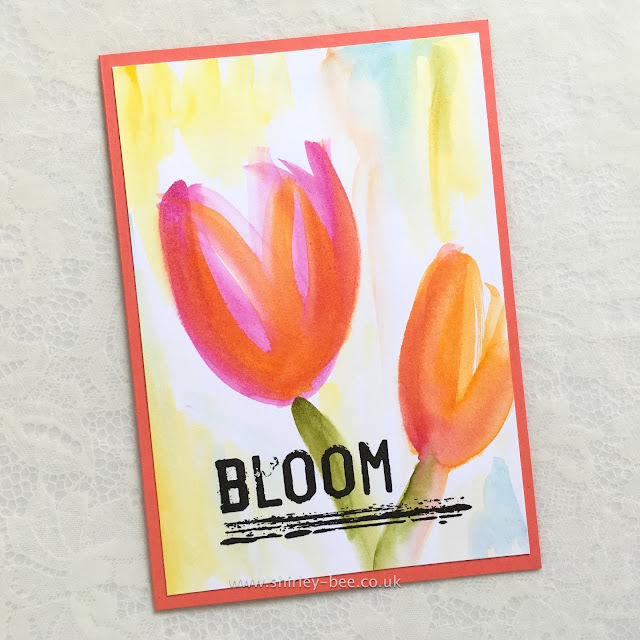 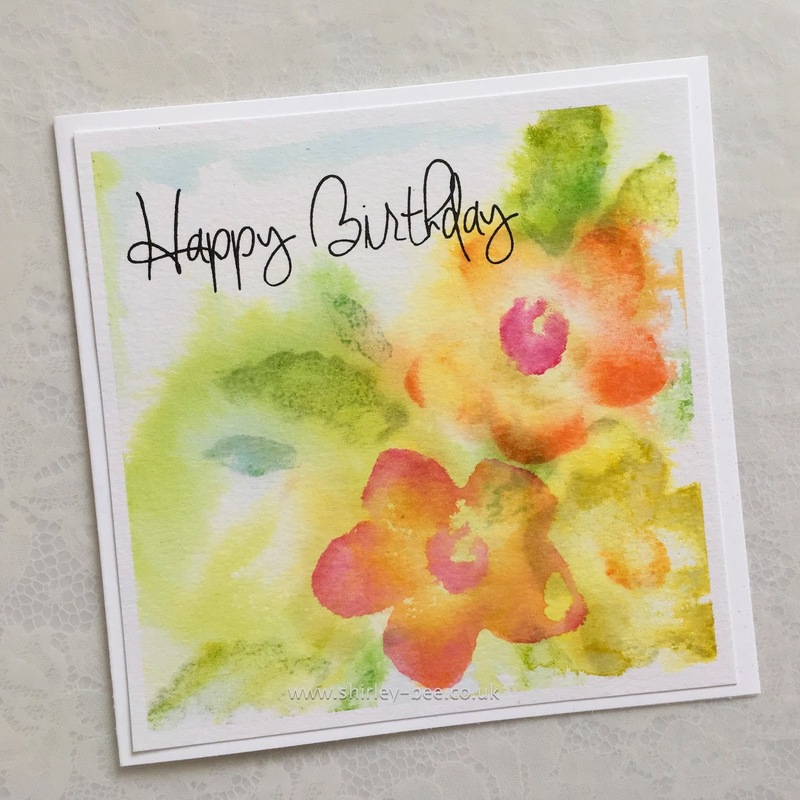 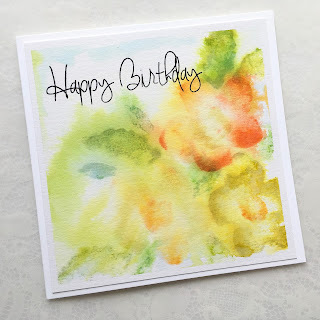 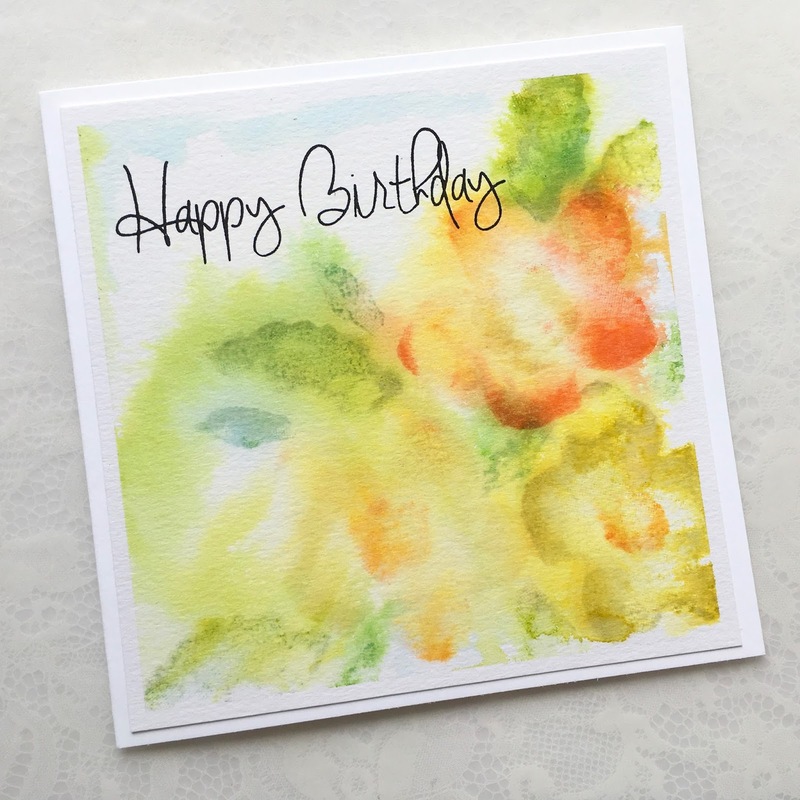 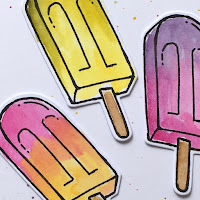 Pop on over to the Seize The Birthday blog for some more fabulous inspiration from the design team and our surprise birthday guest, Lindsey of Bashful Blogging, and play along with us. 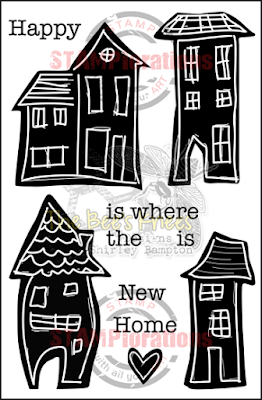 Welcome to a new challenge for Craft Stamper Take It, Make It! 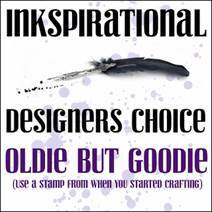 As usual, it's anything goes as long as you use real rubber/polymer stamps. 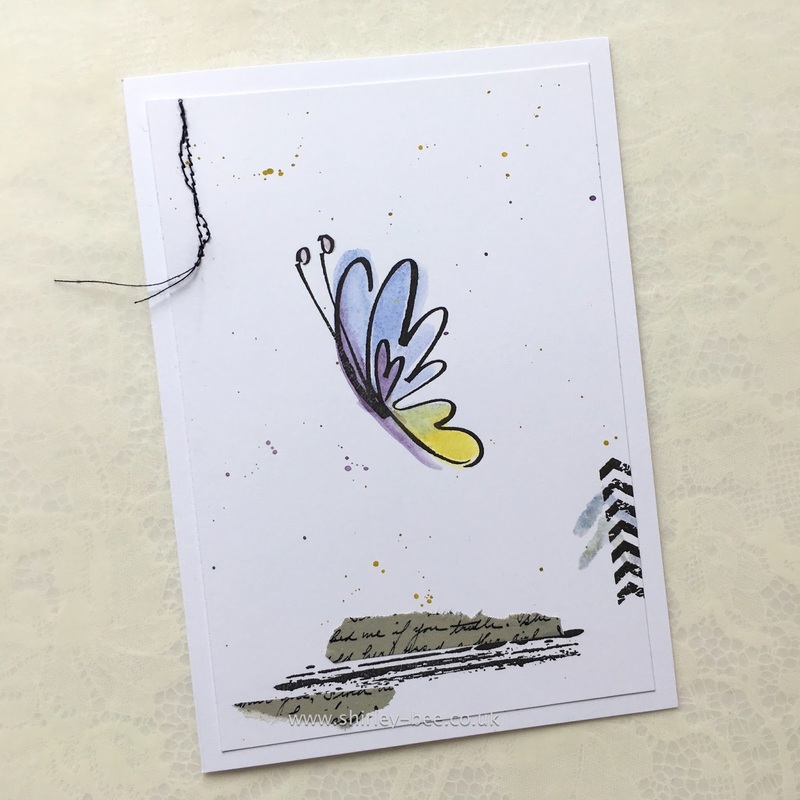 I've used this little monster from Elinazinski Art, from PaperArtsy. The stencilled background was sitting in my stash, the die-cut letters are from Uppercase Alphabet Plate by STAMPlorations.